Today, Friday October 27 2017 Silicon Harlem will hold its 4th annual Next-Generation Tech conference. This year the theme is Community Forward. Speakers including NYC CTO Miguel Gamiño, FCC Commissioner Mignon Clyburn, Manhattan Borough President Gale Brewer, & NYC Mesh’s Brian Hall will examine questions like: What would it take for Upper Manhattan to serve as a model of “smart city” corridors of the future while providing a pipeline of fresh talent for 21st-century jobs? How will digital-first businesses thrive in the innovation economy? What is technology’s role in moving communities forward, as mobile and social solutions become pervasive in so many aspects of our lives? Where are the opportunities for meaningful cross-sector collaboration, with results that demonstrate sustainable and positive impacts on our communities? The event will be webcast live on the Internet Society livestream channels. On Saturday March 4 2017, BetaNYC presents the 2017 New York City School of Data conference – a day-long showcase of New York City’s open data ecosystem, innovative users, and a showcase of civic technology. The main track will be streamed live on the BetaNYC YouTube Channel. Today Monday March 30 2015 Manhattan Borough President Gale Brewer will hold a Tech Ed Mixer at Civic Hall. The event will be webcast live. See Below. On Tuesday, February 17th 2015, City & State hosted its 5th Annual State of Our City forum, convening New York City’s leaders in government, business, and advocacy to discuss some of the most important issues the City will face in 2015. The first panel considered the disruptive advent of the sharing economy, and included representatives of both AirBnB and also the Hotel Trades Council, and also a commissioner from the Taxi and Limousine Commission, however nobody from either Uber or Lyft. The panel was joined by Manhattan Borough President Gale Brewer, and concluded with Carlo Scissura, Brooklyn Chamber of Commerce remarking that consumer demand for improved services was such that incumbents, upstarts, and regulators were obligated to resolve their differences and arrive at working arrangements. The panel, which runs 45 mins, was webcast live via Livestream, video is below. On Monday November 24 2014 ICANN President and CEO Fadi Chehadé met with NYC community at the office of Manhattan Borough President Gale Brewer. Present were representatives of ISOC-NY, Connecting .nyc, New York Tech Meetup, Meetup, NameSpace, Access, and Google. First there was a progress reort on the .nyc TLD from Jeff Merritt of the Mayor’s Office and Jeff Neuman of Neustar, followed by some Q&A – much of it about the mechanics of the nexus requirements for registrants. In the second part Fadi Chehadi spoke briefly about the major challenges to ICANN and the multistakeholder model, including the IANA transition and the development of the NetMundial initiative. Fadi had just returned from the World Internet Conference in Wuzhen, where he had received assurances from that country’s leadership of their continuing engagement with the global Internet and its evolving governance processes. Video is below, including a couple of highlights. A full index is available on YouTube. MobileWeek 2014 was a 6-day conference, hackathon, and event series that happened April 12-17 in NYC. The culminating event was a panel – Mobile Life – hosted by Silicon Harlem at MIST on 116th St. that focused on how entertainment can be a mobile rainmaker, and future prospects as wearables and the Internet of Things become manifest. Speakers were Rodney Williams of LISNR, Tiffany Hardin of Gild Creative Group, and Hot97 DJ Funkmaster Flex who runs the successful In Flex We Trust website. Moderators were Silicon Harlem co-founders Clayton Banks and Bruce Lincoln. Special guest speaker was Manhattan Borough President Gale Brewer. Video is below. Tomorrow, Thursday March 7 2013 at 12PM on the Steps of City Hall City Councilwoman Gale A. Brewer will hold a press conference to celebrate the first anniversary of NYC’s Open Data Law. 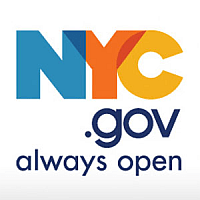 On this day, under the terms of the bill, all qualifying data currently available on any NYC.gov website must be posted to the Open Data portal. Various open government groups including the Open NY Forum and the New York City Transparency Working Group will be in attendance to support Councilwoman Brewer. On Weds. March 21 2012 the NYU Wagner Policy Alliance will present a panel discussion State of the Digital City: Government 2.0 and its Impact on Policymaking – a “how are we doing?” type follow-up to Mayor Bloomberg’s Road Map for the Digital City, rolled out in May 2011. I’m looking forward to this discussion at NYU. As city TLDs are a new policy area for city government, it would be great if there were guidelines for the responsible agencies. For example, recommendations of research, education, and public engagement processes for entities like DoITT to follow when addressing an issue such as the design and development of a digital infrastructure, such as the .nyc Top Level Domain. I hope this is on topic for the event. NYC Council Member Gale A. Brewer has long campaigned for an Open Data statute for the City. Indeed her original public hearing was back in June 2009, when she first introduced draft legislation. Another public hearing was held in June 2010. The law has finally passed, and was signed into law by Mayor Bloomberg on March 7 2012. City agencies until 2018 to get all their data online and searchable. Data to be machine readable and available via an API. Agencies to submit a compliance report before March 2014. Data is to be made available in one central location at NYC.gov. If agencies opt-out they must make public their reasons for doing so. DoITT to consult with the public and open standards bodies to ensure usability. “Today, the Internet Corporation for Assigned Names and Numbers (ICANN) announced it will dramatically expand its domain offerings and will begin accepting applications for new domains in January 2012. Once approved, this will allow for the addition of a dot New York City suffix that will be operated by a private vendor and be made available to New York City businesses and residents. This is a fantastic opportunity for the New York City establishments that will now be able to secure their online presence with a top-level domain name, and for the City of New York, which will benefit from the millions of dollars in revenue dot NYC will generate. When I first proposed launching a New York City specific domain in my State of the City two years ago, it was because I saw the enormous potential for New York City businesses to carve out a place of their own on the Internet. With ICANN’s support, and the hard work of Department of Information Technology and Telecommunications Commissioner Carole Post, New York City Chief Digital Officer Rachel Sterne and former and present chairs of the Committee on Technology, Council Members Gale Brewer and Fernando Cabrera, today that potential has been realized. I applaud ICANN’s decision to increase the availability of new domains, and in doing so, allow New York City businesses the freedom to take control of their Internet presence. The Municipal Art Society of New York presented a panel discussion on Mar 8 2011: Wireless City: Can All New Yorkers Get Connected? at NYIT Auditorium Internet access, once a luxury, is quickly becoming a key livability issue for New York. Other cities have tried to implement free wi-fi access to all of their citizens, but with varying success. A panel of experts who will explore some of the models employed, as well as the challenges in making wi-fi access a priority.